It's that delicious, sticky time of year when we start our holiday baking. 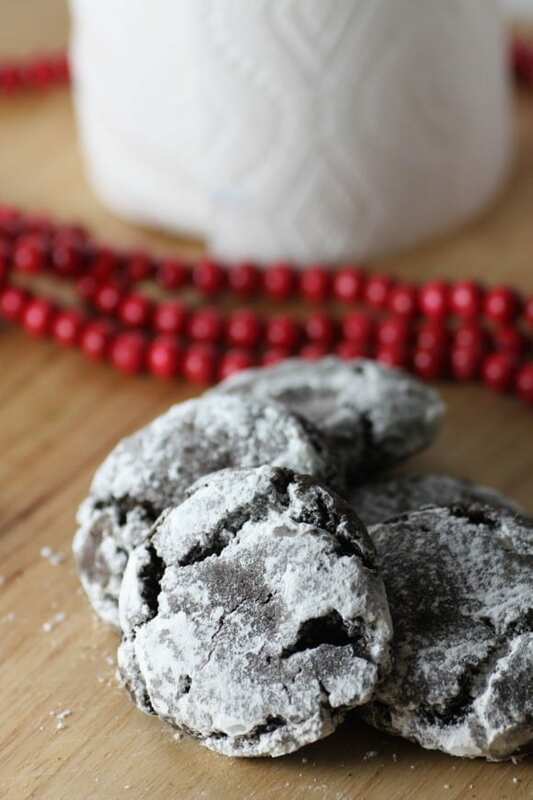 It's a family tradition to bake cookies and wrap them up for our friends and neighbors for the holidays. 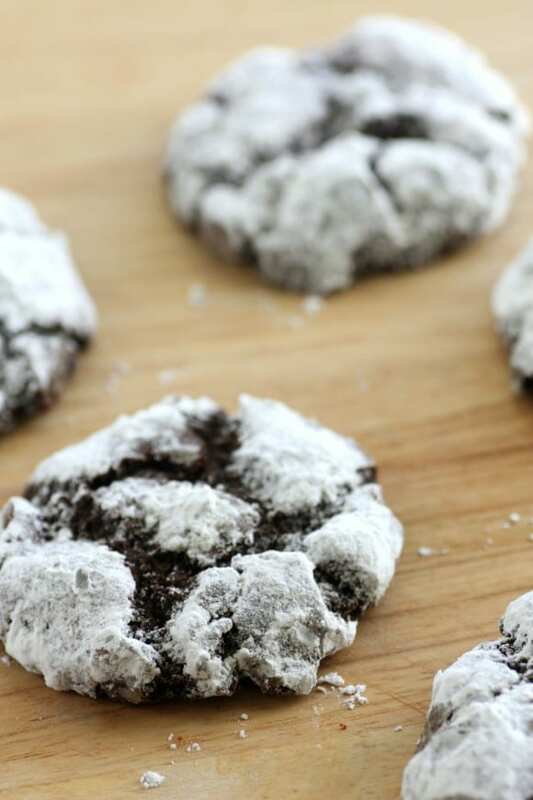 This is a great cookie recipe to make with your kids. As you can see, Lainey liked helping. 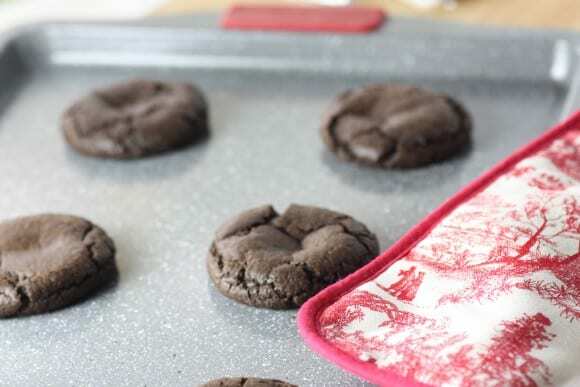 And thank goodness for Bounty Winter Pop Prints Paper Towels because we used a lot of them making these cookies. Combine the dry ingredients in a medium bowl: flour, salt, baking soda, and cocoa powder. Whisk just until the ingredients look evenly distributed. 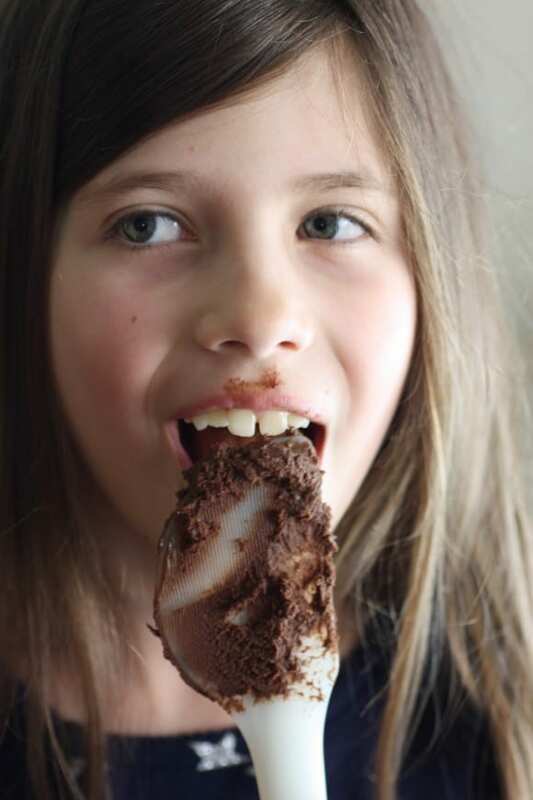 Don't worry about clumps of cocoa powder, they'll break apart when you mix into the wet stuff. In a larger mixing bowl, add the butter, eggs, granulated sugar, brown sugar (lightly packed), and vanilla. Mix until creamy. We used salted butter - if you use unsalted you might want to add another 1/2 teaspoon of salt. Add the dry ingredients in 3-4 batches until fully mixed. The dough will be very thick. Scoop out a ping pong ball sized scoops of dough. 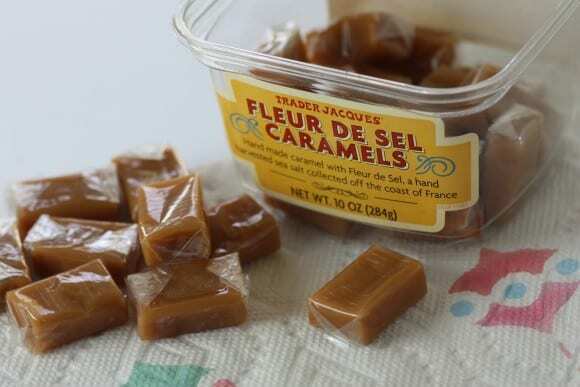 Carefully wrap the dough around the caramel pieces. Make sure the caramel is padded on all sides and the dough is sealed well. 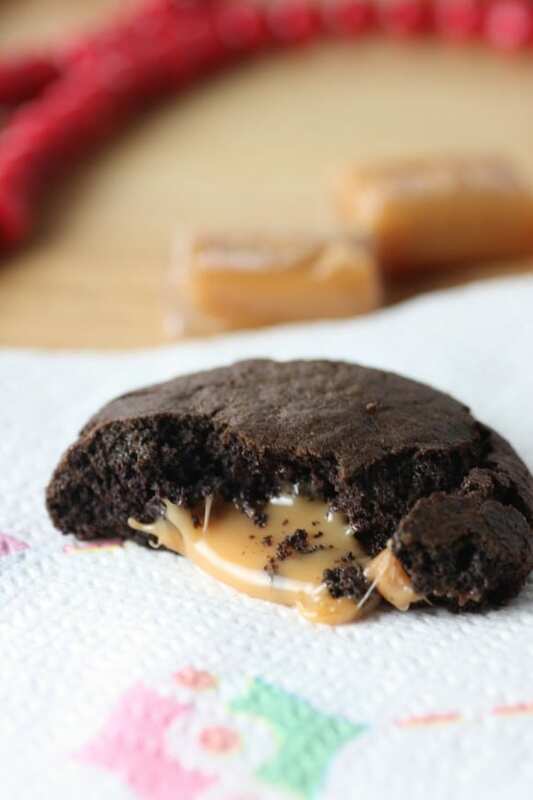 Otherwise, the caramel can leak out of the cookies during baking. 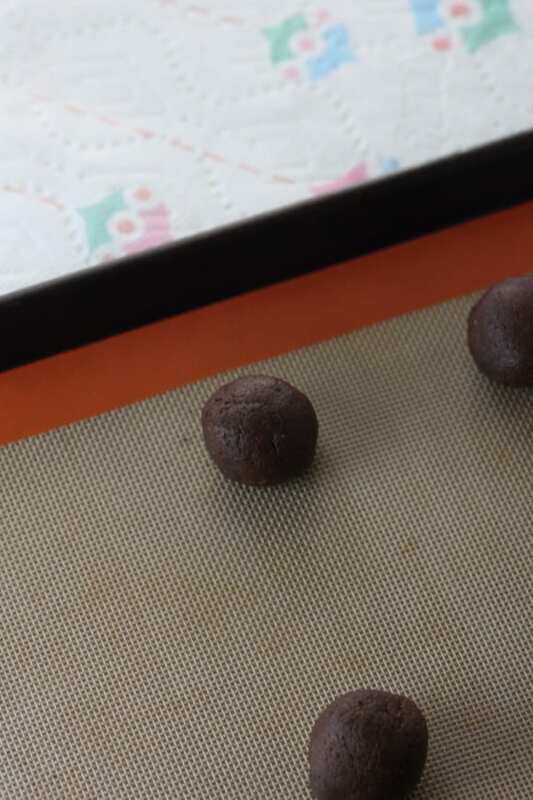 Place the balls on a silicone baking sheet and bake for 10-15 minutes, depending on how big you made your cookies. Take out five napkins. Cut curves along the outside edge of the napkins. You should cut one and make each one smaller. 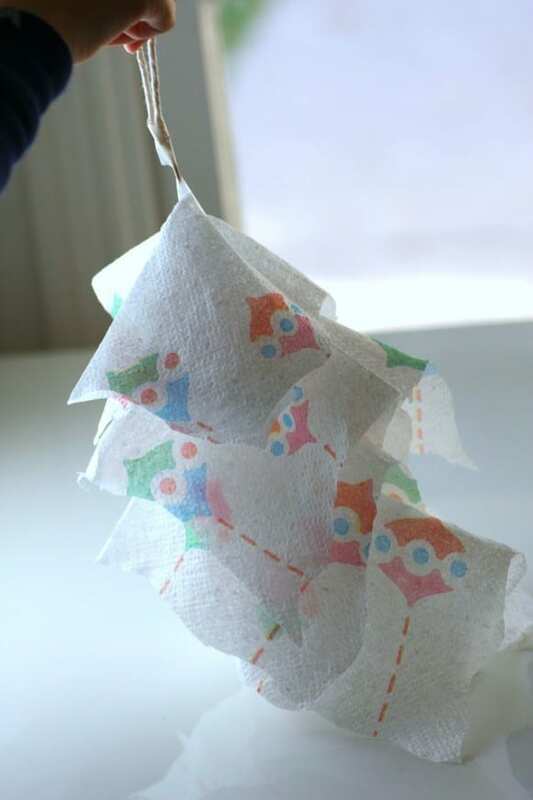 Take a toothpick and poke it through the center of the napkin (largest). Tape the toothpick to the napkin. Tape the toothpick to another toothpick. Poke a new napkin into the toothpick. Repeat the steps 3 through 5. Once all napkins used, tape the poking-out toothpick to a loop of string. This post is sponsored by Bounty. 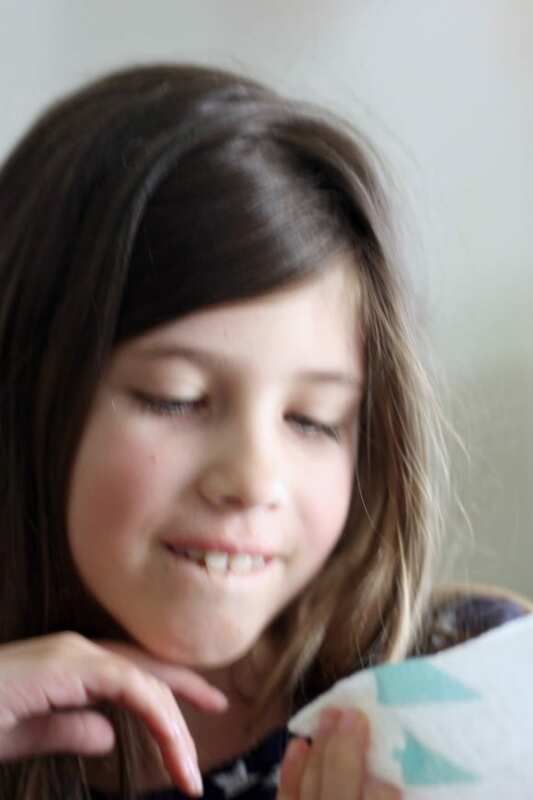 All the ideas, and inspirations, and recipes are my own (and the craft is Lainey's).